- The Dynamic Fit system wraps your foot from the bottom of the arch up to the laces for a glove-like fit. - The sole was re-designed with a 7.5 mm thickness in the zones most prone to wear for superior durability while reduced in the zones with less impact to make the shoe lighter. 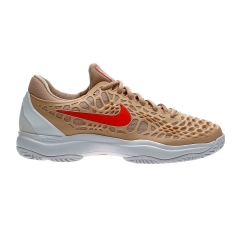 Sole specifically made for use on clay courts. Upper in synthetic material Padded collar provides additional comfort.